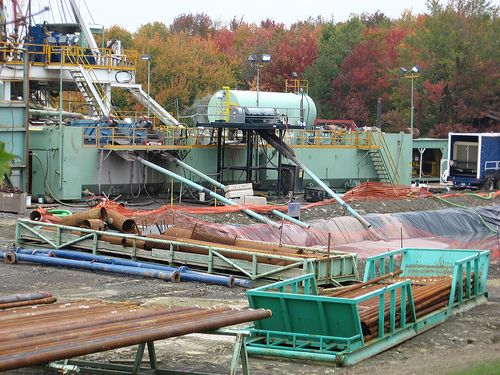 NYC's First Natural Gas Well being Installed on the Great Lawn of Central Park. Just kidding. Actually, yesterday, 60,000 plus gathered at the Global Citizens Festival concert in Central Park to end extreme poverty and world hunger. There's not gonna be a frack well in our backyard Mr Halliburton! And, no where else, if we have our way. 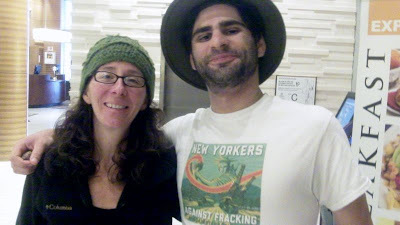 I had the awesome pleasure of attending the festival and chillaxin in The Big Green Apple with anti-fracking activists Stefanie Spear, founder of EcoWatch.org, and Russell Mendell from WaterDefense.org. The headliner of the consciousness raising festival was none other than forever-young Neil Young and Crazy Horse who blew the organic socks off of the mesmerized concertgoers. Photo Credit: Maria Ives via LiveMusic blog. 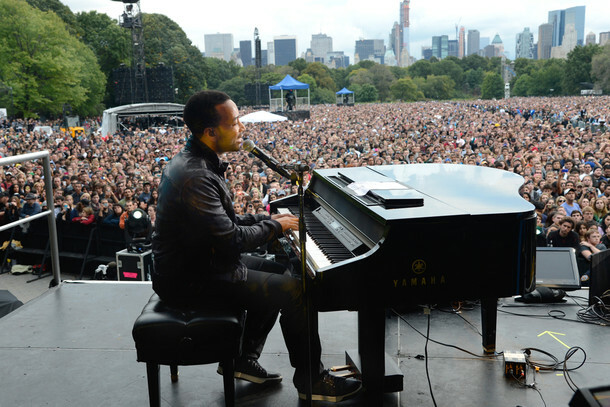 The Global Citizens Festival took place on the magnificent Great Lawn of Central Park and featured the Black Keys, Foo Fighters, K'naan, and Band of Horses. John Legend made a surprise appearance to perform John Lennon's "Imagine" on a stage within a short walking distance to Strawberry Field, the Central Park memorial to our beloved New Yorker. Who said the energy and activism of the 1960s are over? Last night, the magical Manhattan skyline loomed and radiated behind us, as a most-apropos Harvest Moon beamed down from above. We were swept up in a moment of change-making that will linger for years. According to AP, the organizers of Global Citizens.org said 170,000 people signed petitions to help end extreme poverty, their web site had 3.5 million page views, and 200,000 pieces of info were shared on Facebook. The project also achieved its yearlong goal of working with an array of organizations such as the U.S. Fund for UNICEF, the Earth Institute and Rotary International while garnering $500 million in commitments to help fight poverty. The night ended with a jam session. 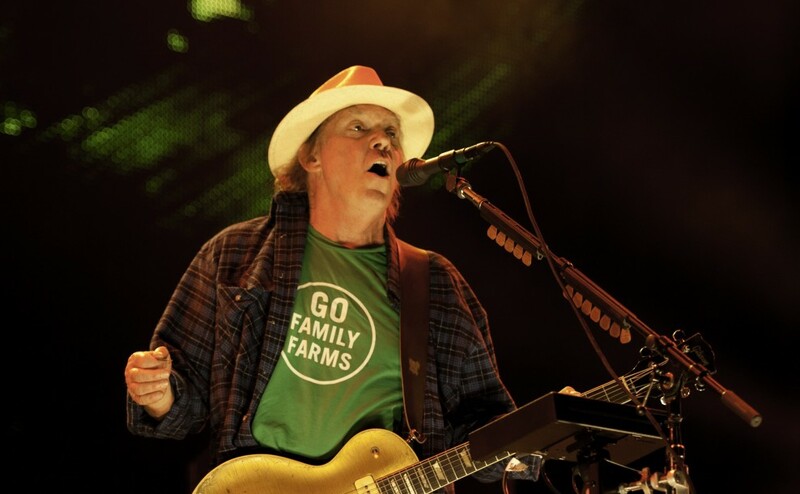 Neil Young performed his classic, activist anthem, "Rockin' in the Free Word", accompanied by members of The Black Keys, Foo Fighters, Band of Horses and K’Naan. Stellar performances by one and all, but especially by Mr. Neil Young who continues to care AND rock like tomorrow depends upon it.